Q Do you cut Keys? Australia and are able to duplicate just about any Key in circulation. Q I own an old “Queenslander” that has the old-style Rim Locks on the doors. Can you cut Keys for them? so you can keep that colonial or original look. Q Do you have coloured Key-blanks? it be colour or a humorous design, we are sure to give your keys that different look. Q Do you cut Keys for cupboards, wardrobes and other furniture Locks? A YES. 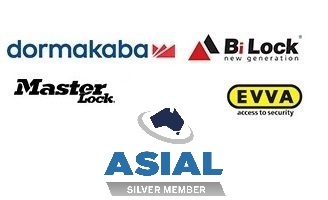 Keycut Services can cut Keys to just about any of these types of Locks. Q Can you cut Keys for Filing Cabinets? A YES. Keycut Services can cut Keys to code or lock for all standard Filing Cabinet Locks. Q Can you cut Keys for Safes? simple single-lever Locks to high security multi-lever Safe Locks. Q Can you cut Car Keys? models to the latest high-security Transponder motor vehicle Key. Key to make it work. Can you cut me a perfect Key from this Key? additional costs of removing Locks from your Vehicle to make that perfect Key. can cut a Key to my Car? the additional expense of us de-coding the Locks. Q Can you cut Keys for my Motor Bike, Boat, Tractor or Plant Equipment? A YES. Keycut Services can cut Keys for just about any Lock.